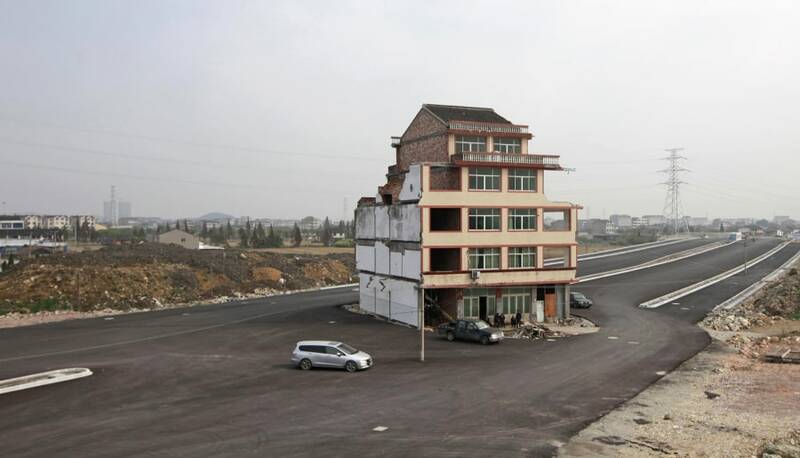 Excavators are used to demolish a house standing alone in the middle of a recently-built road in Wenling in China's Zhejiang province on Dec. 1, 2012. 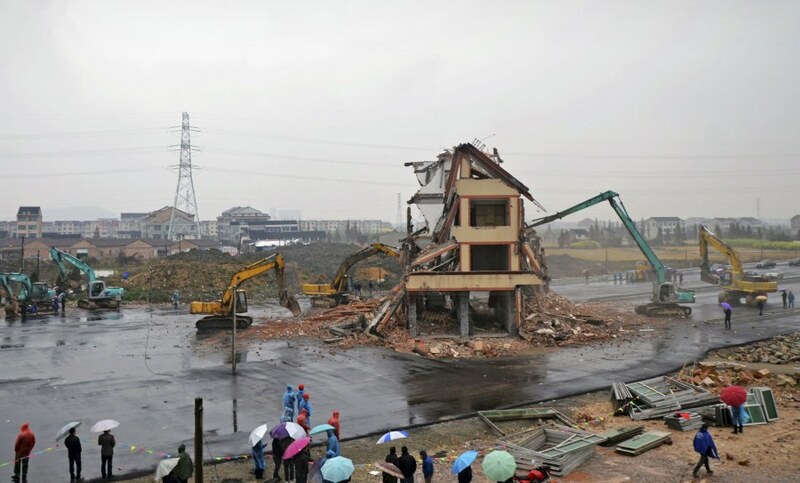 Authorities have demolished a five-story home that stood incongruously in the middle of a new main road and had become the latest symbol of resistance by Chinese homeowners against officials accused of offering unfair compensation. Xiayangzhang village chief Chen Xuecai told The Associated Press the house was bulldozed Saturday after its owners, duck farmer Luo Baogen and his wife, agreed to accept compensation of 260,000 yuan ($41,000). Full story. The house on Nov. 24.